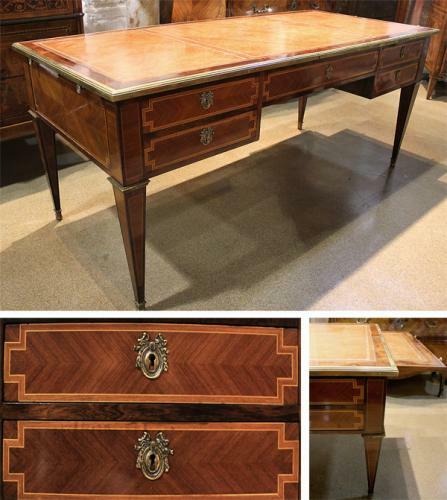 A 19th Century French Louis XVI Rosewood and Satinwood Parquetry Bureau Plat No. 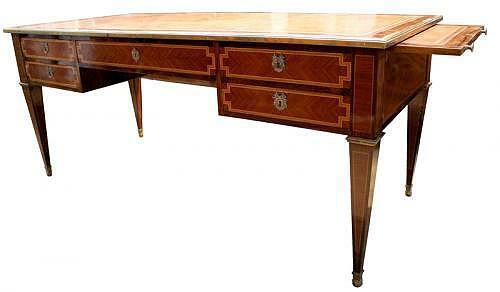 3939 - C. Mariani Antiques, Restoration & Custom, San Francisco, CA. Height: 30 1/4"; Width (closed): 71"; Width (open): 106"; Depth: 31 1/2"; Each Pull Out Writing Surface: Width: 17 1/2"; Depth: 24"